#ChowChowkoottu : #Chowchow is otherwise called #Seemaikatharikkai or #BangaloreKatharikkai in Thamizh and is known as #Chayote in English. Chowchow is slightly sweet in taste and watery in texture. 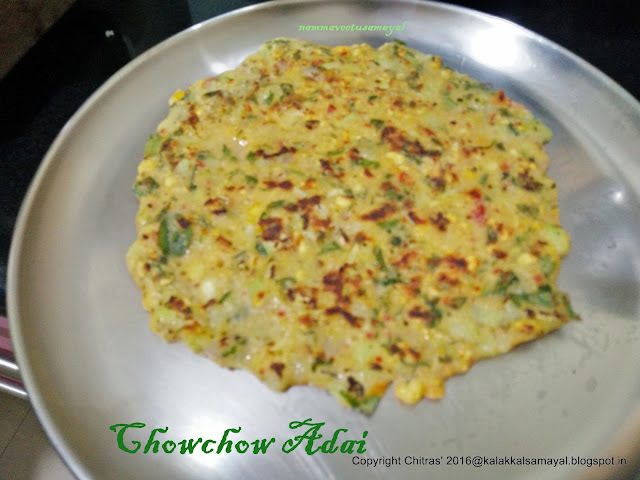 It is suitable for preparing Sambar, koottu, bajji, morekuzhambu and Pancake [ Adai ]. 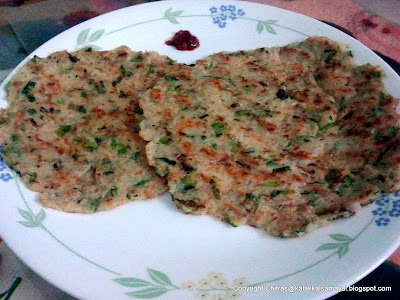 According to me, chowchow koottu is the tastiest dishes among all those mentioned above. Take all the ingredients given to grind in a blender and make a fine paste. Take green gram in a pressure cooker. Wash twice and then add 1/2 cup of water. Pressure cook for a whistle then reduce the flame to SIM and cook for 5 minutes. Heat a kadai or a vessel with 1/2 cup of water on a stove over medium flame. Mix well and close with a lid. Simmer till the vegetable becomes soft. open the lid and then add, coconut paste & cooked lentil. Mix well and allow to simmer for 3 to 5 minutes. Temper mustard seeds and split black gram and pour over the prepared koottu. Tasty Chow chow koottu is ready. A very good side dish for white rice mixed with Sambar or Rasam. Koottu can also be mixed with hot white rice and relished with any kara curry or pickle. Chow chow koottu can also be made in a pressure cooker. Take 1/3 cup of water in a pressure cooker. Add turmeric powder, salt and Sambar Powder. Mix well and spread chopped onion, garlic and chowchow. Over it place cooked lentil and coconut paste. Close the pressure cooker with weight on. Release the steam immediately by keeping it under running water. If needed simmer for 2 minutes to get required consistency. If the dish is too thick add hot water to dilute.